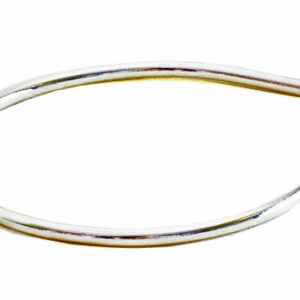 Teardrop Bangle 6mm, silver, buy now at Colette Hazelwood Contemporary Jewellery. The heavyweight Teardrop Bangle is a 6mm x 3mm D shape wire bangle, it can be made in any wrist size and and with a variety of finishes. 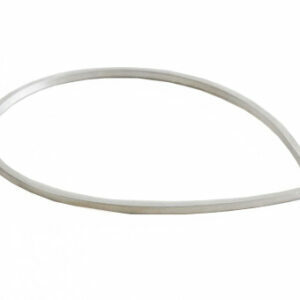 My heavyweight Teardrop Bangle is made from 6mm x 3mm solid silver D shaped wire. This Teardrop Bangles can be made in any size so if you don’t see your size email me and I’ll make a special one for you. 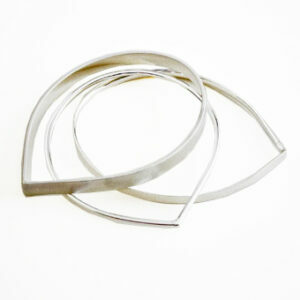 Your new Teardrop Bangle will be sent to you in a gift box with free UK delivery. Bought as a present. Very happy with my purchase, especially when the person I bought it for phoned my up to tell me how lovely my present was. A winning bangle. Also came in a lovely gift box. Thank you. Thank you Claire, glad she liked it.